Tags: German shepherd collar, dog Collars gsdsite, dog collar, leather dog collar, reflective dog collar, K9 collar, guard dog collar, agitation collar, large dog collar, dog collar with handle High Quality Genuine Leather Braided Studded Dog Collar, Brown 1.25" Wide. Fits 16"-20.5" Neck. Overall length 22.5", 1.25" wide, will fit 16"-20.5" - please measure dog's neck before you order. 4 adjustment holes. I want to let you know about a great classified ad I have just found. 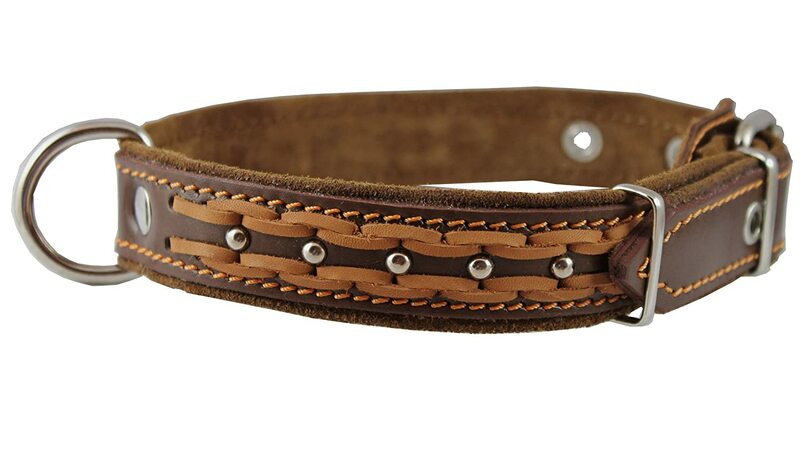 This classified may be found at https://gsdsite.com/ads-942/high-quality-genuine-leather-braided-studded-dog-collar-brown-16-wide-fits-1924-neck-large.html. Title of the classified: High Quality Genuine Leather Braided Studded Dog Collar, Brown 1.25" Wide. Fits 16"-20.5" Neck.